educational process and the social development that our country going through. PhD in International Relations and Political Economy from the University of Kansas, the USA in 1993. The PhD dissertation: related to the nature of the development process that Saudi Arabia went through during the period 1973-1993 in linkage with the Saudi social and political structure. Master degree in International Relations from the University of Louisville, the USA in 1983. The Master thesis: centered on the impact of the Arab- Israeli conflict on the Stability of the Middle East. The conflict shaped the political and ideological polarizations in the region following the wars in 1948, 1967, and 1973. B.A in Political Science and Economics from the Eastern Kentucky University, the USA in 1981. Director and owner of Al-Andalus Language and Training Institute (for Men). Director and owner of Dar Al-Andalus center for Ladies Training. Director of Al-Andalus group for Economic and Management Consultancy. Faculty member as part-time in the Department of Finance and Economics at the King Fahd University of Petroleum Dharan) since 1995. 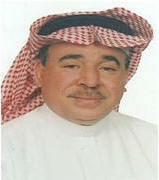 Faculty member in the Department of Political Science at the King Saud University (Riyadh) during the period 1984-1992. The Challenges of Educational curriculum and Training in the GCC organized by the federation of the GCC chamber of Commerce and Industries held in Muscat-Oman in 2001. The Saudi-American Relations after the 11 of September presented in Athens, Greece in 2002 under joint sponsorship: the international Relation Burkle center of University of California, Los Anglos and the Greek Defense Ministry. Participating in large number of workshops concerning various issues related to the regional security of the Middle East and the Gulf region between 2002 and 2007 held in Athens under joint sponsorship: the international Relation Burkle center of the University of California, Los Anglos and the government of Greece. Extremism and prospects for Sociopolitical Transformation in Saudi Arabia organized by the Russian Academy of Sciences, the U.S National academies and the Aleksanteri Institute held in Helsinki during 10-12 October-2005. The Saudi-Iraqi Relations after Saddam Hussien: Perception or reality presented in Istanbul which was sponsored by the oshik University during 1-4 November 2006. The main thesis of the conference centered on the future of Iraq. The prospect of the Turkish-GCC economic Relations held in Istanbul Turkey in 2007. Participating in a number of workshops related to rights of citizens held during the 2005-2008 in Amman-Jordan where it was led to the foundation "Middle East Citizen Assembly" (MECA) with its written charter. The workshops meetings have been financed and organized by Interchurch peace Council of the Netherlands (IKV) and his Royal Highness Prince Hasan of Jordan. Problems and opportunities of Saudi Economy presented in the second conference to Turkish-Asian Relations held in 2006-Istanbul. Writing weekly column each Sunday titled contemporary issues related to economic and social challenges on Saudi Okaz News Paper in 2008. � Member of the Saudi Political Science Association-Riyadh. � Member of the Technical college council in Dammam-Saudi Arabia which seeks to create a compatibility between college curriculum and market Demand. � Former Director of Saudi Club for Cultural Affairs in Lawrence-Kansas, the USA. � Former Member in ASHRM for the development of human resources-ARAMCO-Saudi ARABIA.